Spring dead spot is a fungal disease of bermudagrass lawns and is a result of infection by one or more species of Ophiosphaerella. These soil-dwelling fungi damage the roots, rhizomes, and stolons by completely rotting these plant parts. These fungi are most active at infecting the turfgrass during moist fall conditions when the soil temperature is below 70 °F, and they will continue damaging the turfgrass until the soil temperature drop below 50 °F. Infections will then resume the following spring as the soil warms again. Spring dead spot is one of the most devastating diseases of bermudagrass. Spring dead spot generally appears in the spring in bermudagrass lawns as bleached-out spots in the lawn that are 6 inches to several feet in diameter. The symptoms of spring dead spot (SDS) will be well-defined, bleached-out dead patches in the lawn that are most prominent in the springtime as the rest of the turfgrass is greening. The infection itself, however, does not cause the disease symptom, but it predisposes or sensitizes the damaged turfgrass to winter injury. Symptoms will be worse following cold, wet winters. On the other hand, if the winter is warm and dry, damage to the lawn will be less. Uncontrolled, diseased patches can increase in size each year. Weeds may colonize these weakened or dead patches. The bermudagrass in these SDS patches will eventually die. Therefore, the only recovery of the lawn in these patches is from stolons that grow into the diseased areas from adjacent healthy turfgrass. To reduce the chance of spring dead spot in a lawn or to bring this disease under control will require both maintaining a healthy lawn and applying the most effective fungicide treatments at the proper time of year. Following soil test results will greatly aid in the reduction of spring dead spot symptoms. Pre-emergence Herbicides: Pre-emergence herbicides are recommended for use only on established lawns. Because these SDS patches are dead, it is best to not apply these herbicides during lawn recovery. When stolons of adjacent, healthy bermudagrass grow into the dead patches, these herbicides will prevent root growth and turfgrass establishment from the stolons. Soil pH: Maintain the lawn soil pH in the acidic range of 5.8 to 6.2, as a higher soil pH has been linked to increased SDS incidence. Adjust the soil pH with lime or sulfur applications and retest the soil annually. For directions on how to collect a lawn soil sample, see HGIC 1652, Soil Testing. ½-inch of irrigation immediately after application. Examples: To apply 1 pound of actual nitrogen per 1000 square feet of lawn would require 6 pounds of either a 16-4-8 (with 16% nitrogen) or a 15-0-15 (with 15% nitrogen) per 1000 square feet. If a higher nitrogen fertilizer is applied, such as a 30-0-5 (with 30% nitrogen) or a 34-0-0 (with 34% nitrogen), these would require only 3 pounds of fertilizer per 1000 square feet of lawn. 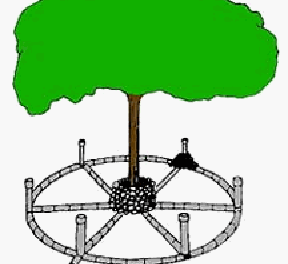 Potassium Fertilization: The soil potassium level should be monitored annually by soil testing. The potassium level should be kept at the upper end of the sufficient range on these tests, as adequate potassium is very important for both cold tolerance and disease control in turfgrass. If it is not sufficient, potassium can be applied by using a high potassium fertilizer, such as muriate of potash (0-0-60). 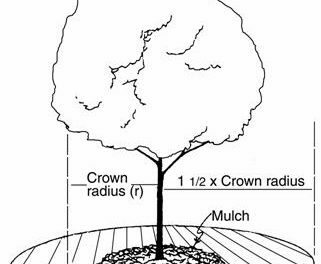 Example: Apply 1⅔ pounds 0-0-60 per 1000 square feet per month during the growing season. Then retest the soil again during the winter. Because of the high salt factor of this fertilizer, always water it into the soil immediately after application. Thatch: A thatch build up in the lawn can reduce the cold weather hardiness of the turfgrass. Because this fungal infection also decreases turfgrass cold weather hardiness, dethatch or verticut the lawn during May to reduce any excessive thatch layer. The application of a top dressing of organic matter may also be beneficial, as this organic matter will stimulate soil microbial activity, which in turn can help with the breakdown of a thatch layer. For more information on dethatching and verticutting, see HGIC 2360, Controlling Thatch in Lawns. Soil Aeration: Any factor that limits turfgrass root development can increase the possibility of cold weather injury during winter. Core aeration of the lawn reduces soil compaction and can greatly improve both soil aeration and internal drainage (especially in clay soils), which will aid in root growth. For more information, see HGIC 1200, Aerating Lawns. Irrigation: To reduce the chance of irrigation predisposing the lawn to disease, water the lawn as infrequently as possible. Typically, in areas with clay soil, the lawn will require watering one time per week with 1 inch of irrigation water per application. Always water the lawn in the early morning and never in the evening. In sandy soils, such as along the coast or in the deep sandy soils in Aiken county, the lawn should be watered one time per week in the spring and fall, and twice per week in the hot summer months. Apply 1 inch of irrigation water per application. 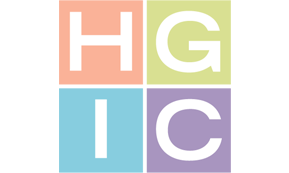 For more information, see HGIC 1207, Watering Lawns. Fall applications of fungicides are necessary and made to reduce fungal infections that are primarily active in the fall. Without fungicide treatments, the patches may be much larger the following spring. Applications should start about one month before the lawn goes dormant. Make the first fungicide application around October 1st, the second in mid-October, and the third application at the end of October. Fungicide products for home lawn use are included in Table 1 for SDS control. It is always best to alternate fungicides with different active ingredients. Applications can be made using granular forms of fungicides or ready-to-spray bottles (hose-end sprayers). Granular products must be dissolved with ½-inch of irrigation water immediately after application. Note that the use of propiconazole in the fall may slightly delay the green-up of bermudagrass in the spring. Always follow label directions for rate, use, and safety. Table 1. Fungicide to Aid in Control of Spring Dead Spot in Bermudagrass. 1 RTS = A ready-to-spray, hose-end spray bottle. 2 Resistance to the fungicide by the spring dead spot fungus will develop from continued exclusive use of thiophanate methyl alone. If chosen, always alternate this fungicide with one of the others. Follow directions on product label for use. In general, fungicide applications will control spring dead spot for 14 days. Irrigate according to label directions after application of granular products with ½-inch water.